Oscar Pistorius holds his head in his hands as he is formally charged with murdering his FHM model girlfriendd Reeva Steenkamp, shot four times through the bathroom door at his home on Valentines Day. Nike pulls bullet in chamber ad. 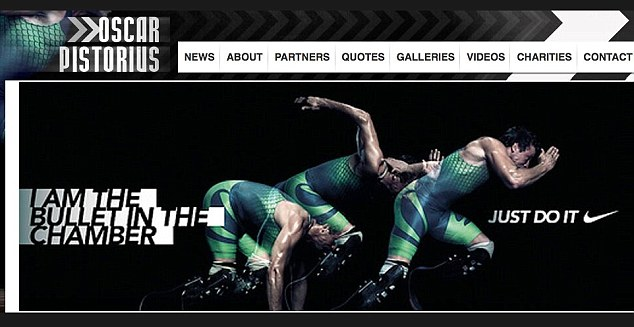 Nike totally misfired. This entry was posted on February 15, 2013 at 7:20 am and is filed under Uncategorized. You can follow any responses to this entry through the RSS 2.0 feed. You can leave a response, or trackback from your own site.